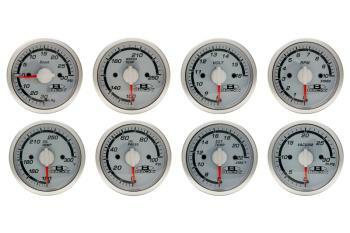 BLOX Gauges UNIVERSAL - MiataRoadster - Stay tuned with MiataRoadster! The BLOX Racing series of 52mm gauges feature a classic look with a white background and green backlight. 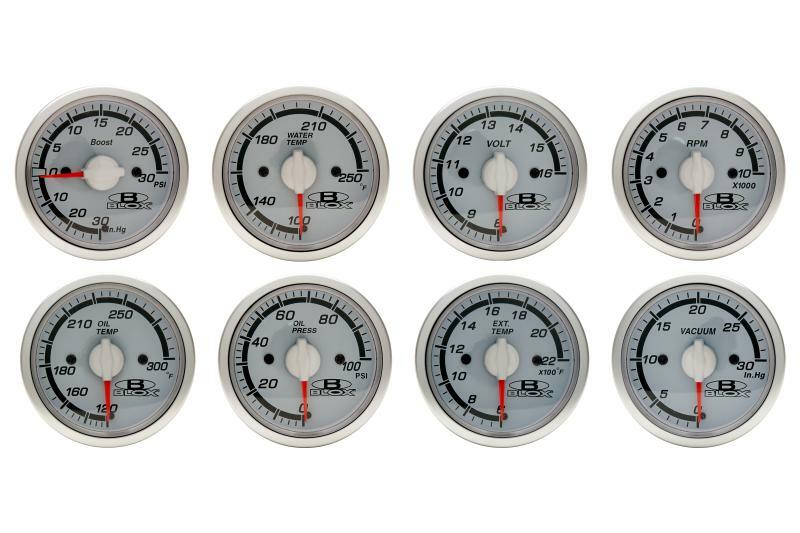 Each gauge is clearly marked and highly visible and comes with all the necessary mounting hardware and hose connections. BLOX Racing also offers enthusiasts an accurate RPM gauge. Also available are composite gauge pods and meter clusters, sensors and adapters, wiring harnesses and other replacement parts.